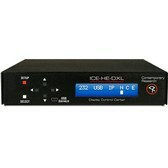 The ICE-HE-DXL Display Control Center is an intelligent solution for through-the-coax RF display control, able to insert an RF command channel, sending data from Display Express software and custom control system, as well hosting embedded Display Express Lite Web control pages. Control commands are sent over RF as a micro data channel in a gap between channels 4 and 5. An RF input is available for two-way operation in legacy systems. Front-panel menus and USB port simplify setup, and firmware updates. Display Express PCs and control systems can connect via Ethernet, RS-232 or USB. 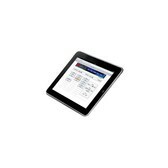 DX Lite control commands operate independently from the external control ports. 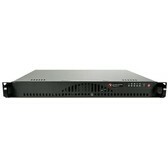 The half-rack enclosure can be mounted by itself or next to Contemporary Research RF amplifiers and combiners.